Ten years ago today – TEN YEARS! – I dug out the LEGO Blacktron Invader I had kept since childhood (still in opened box) and the Blacktron II Allied Avenger I had recently purchased in my new quest to obtain some of the classic LEGO Space sets I had always wished I owned. 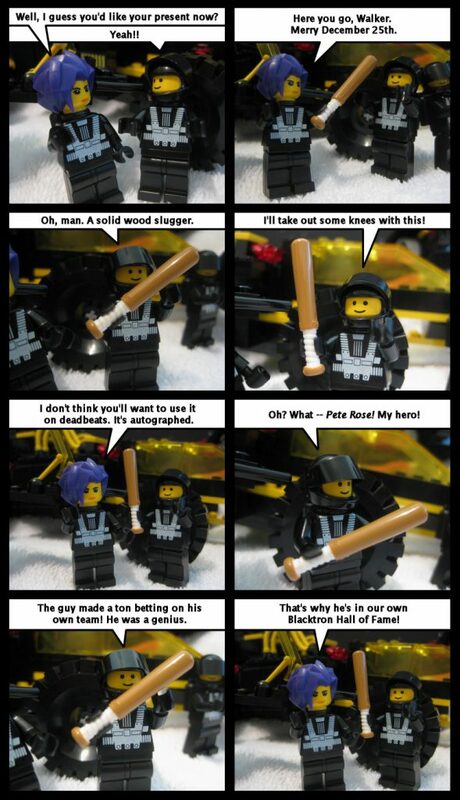 I thought it would be fun to create a little comic strip with them and post it online for the enjoyment of everyone who had fond memories of the old LEGO Space themes like I did. And admittedly, I thought that if I could keep the comics going for awhile, I could create a story connecting those classic sets that LEGO had never provided (preferring to let kids use their imaginations, I assume). I posted the comic on Drunk Duck (long before I had my own website), which still exists to this day! You can still go back and see the original comments I received! 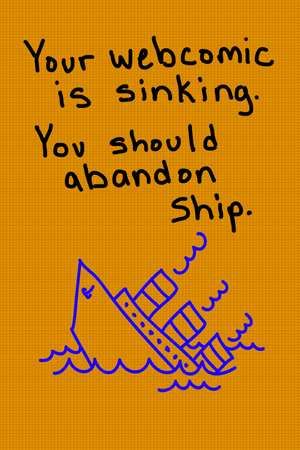 The very next day, I posted the first comic starring Commander Schwartz and I was hooked. Little did I know that a whole decade later (minus four dormant years and one that was almost dormant), I’d still be creating this comic – and having a blast doing so. SPACE: The Comic (aka Lego Space) has never had a huge following, just a handful of regular readers who have been very supportive. Sometimes I feel like I’m toiling in anonymity. But I came to peace a while ago with the fact that I create this comic because I love the characters, I enjoy telling the story, and it’s very satisfying to create and share it. Anyone else who likes it is icing on the cake, and I am very grateful to you for your comments and interaction over the years. There’s still a long way to go in completing the many storylines I’ve started – and I do have it mostly plotted out. I just want to enjoy the ride and the creative outlet it provides. What’s at the end of the rainbow? BLACKTRON.